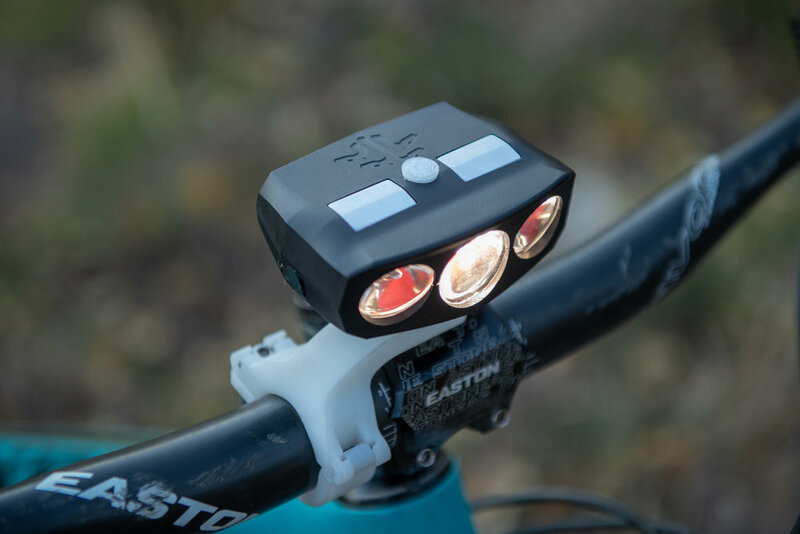 The Hydra3 is designed especially for night mountain bike riding. Using our terrain-adaptive technology, the light senses your motion and digitally steers the light around corners like headlights on high-end luxury cars. Now you can ride tight switchbacks and flow through single-track with confidence as the light goes where you need it, when you need it—guaranteeing maximum visibility and run-time. This is the only bike light you’ll ever need. 900 Lumen equivalent output routed through custom optics. Custom engineered LED optics to optimize beam pattern for maximum trail visibility. Descend & Climb Modes. 4x light levels per mode to allow longer battery life. Hybrid Power capabilities / 2 hour run-time on internal battery / unlimited run-time via external battery packs. 2-Hour run-time at full brightness (internal battery). 3400 mAh Lithium Ion rechargeable battery cell.